The sacred heart mission in konawa is said to be one of oklahoma’s haunted sites. Built in the same year that Oklahoma joined the union as the 46th state, the Stone Lion Inn once was the most luxurious home in Guthrie, the new state’s capitol. But tragedy afflicted the Houghton family, the original residents of the stately mansion. According to legend, the Houghtons’ daughter, Augusta, died after falling ill and receiving an accidental overdose of opiate-laced medicine. Later, the home was purchased by others and turned into a funeral parlor. Now, a popular bed and breakfast, the past of the Stone Lion Inn refuses to stay dead. Guests have complained of noisy little ones and the sound of wooden balls rolling across the floors when no children were staying at the inn. Other guests have claimed to see a dapper, pipe-smoking gentleman haunting the halls, believed to be Augusta’s father, F.E. Houghton. An investigation by the Syfy network television show Ghost Hunters recorded electronic voice phenomena and eerie shadows within the walls of the notorious mansion. Very little remains of the original Sacred Heart Mission, founded in 1877 by Father Isidore Robot, a French Benedictine monk. 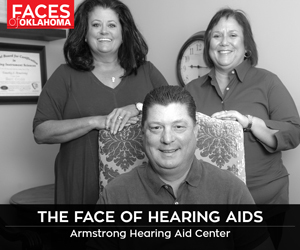 Robot built a church, a monastery, a school for American Indian children, a technical institute and more, making Sacred Heart the wellspring of Catholicism in Oklahoma. But a terrible fire during the winter of 1901 erupted in the boys’ school dining hall, destroying much of the establishment. 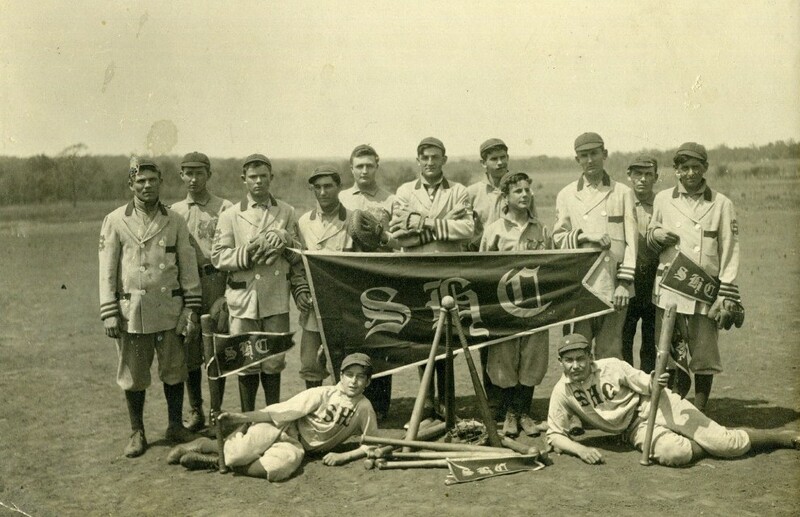 Although many structures were rebuilt, Sacred Heart was so far off the railway that the monks eventually relocated to Shawnee, where they founded St. Gregory’s University. The mission in Konawa finally closed for good in 1955. Today, all that is left of the 19th-century part of the settlement is the bakery and a small log cabin – and, some say, the spirits of the dead. Witnesses claim to see blue orbs of light dancing around the cemetery grounds at night. Others have heard the desperate whinnying and stampeding of horses believed to have died while trying to escape the great fire. Creeping mists and mysterious cold spots occur out of nowhere. Perhaps most chilling of all, many eyewitnesses have seen a woman walking the grounds at night, a panther prowling by her side. 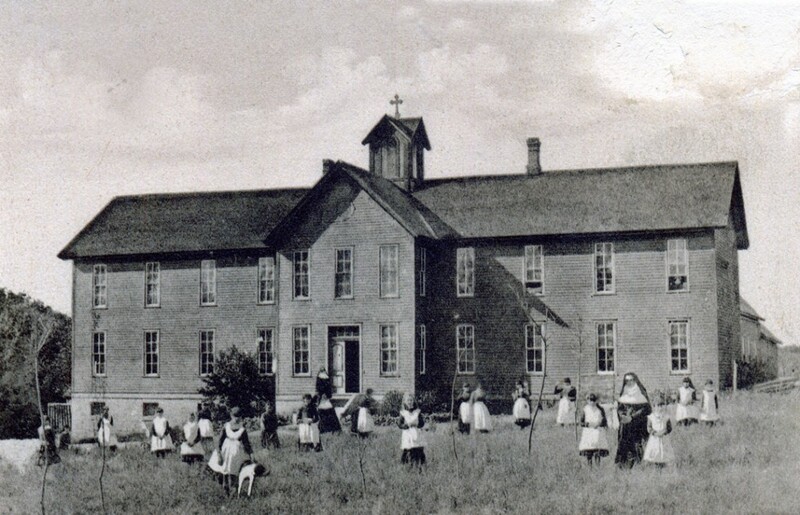 Sacred heart mission was home to a school for american indian students that burned down in 1901. 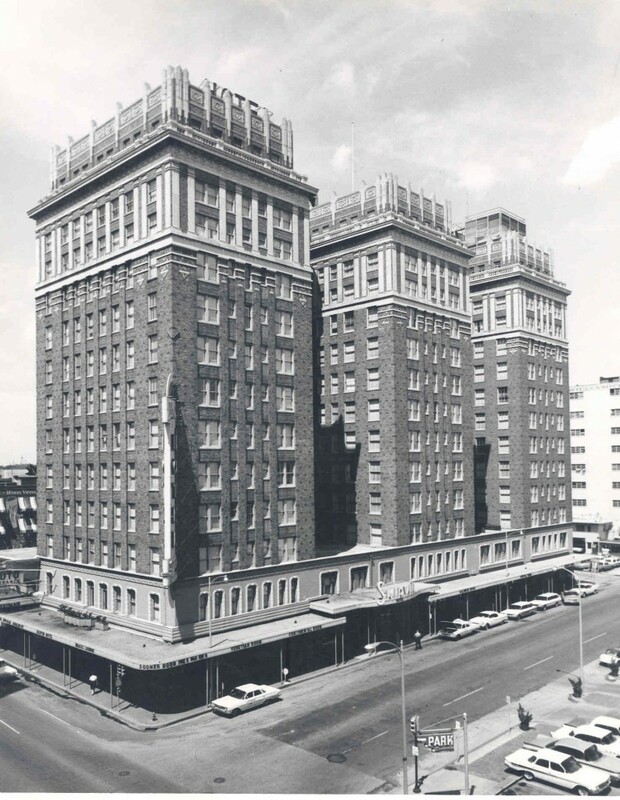 It is difficult to separate fact from fiction when it comes to the legendary history of the Skirvin Hilton Hotel in downtown Oklahoma City, but one thing is certain: Plenty of guests believe the place is haunted. Storytellers often repeat the legend of a woman named Effie, a hotel maid and lover of the hotel’s founder, W.B. Skirvin. According to local lore, Effie became pregnant with Skirvin’s child and was hidden away on the 10th floor of the hotel to have her baby. After the pregnancy, however, she remained locked in her room until, in despair, she jumped from the window to her death, baby in arms. If a ghost haunts the skirvin hilton hotel, its must be an Oklahoma City Thunder fan. While there is no historical record of Effie having existed, the Skirvin, which opened in 1911, is home to plenty of grim, true history. Local reporters recently discovered that another patron did, indeed, commit suicide by defenestration at the Skirvin. In addition, the first manager of the former Prohibition speakeasy-turned-luxury-hotel died under circumstances disputed to be either murder or suicide. Male guests have reported being subjected to the affectionate advances of a female entity. Others report occasionally finding a surprise companion in their showers. Whoever the ghost is at the Skirvin, it appears to be an Oklahoma City Thunder fan. In 2010, members of the New York Knicks blamed ghosts at the hotel for their loss to the Thunder, while team members of the Chicago Bulls were disturbed by mysteriously slamming doors in their rooms. The “Old Lady on Brady” has a storied – and some say haunted – history. Once the largest theater west of the Mississippi River, the venue has hosted the likes of everyone from the Marx Brothers and Katharine Hepburn to Buddy Holly and Tom Waits. According to locals, however, there is one famous performer who refuses to leave. In the fall of 1920, world-renowned Italian tenor Enrico Caruso arrived in Tulsa for what would be one of his final performances. Eager to experience what the area had to offer, Caruso was touring a nearby oil field when all the cars in his entourage mysteriously broke down. Caruso was forced to walk back to the Brady in the wet, wintry weather. Not long after his performance, Caruso perished of a virulent lung condition that his manager blamed on his cold Oklahoma walk. Now, it is said, that Caruso haunts the Brady Theater in vengeance for his death, tampering with equipment, moving objects and generally causing a spectral nuisance. According to legend, Caruso keeps company with another spirit: The ghost of a stagehand who hanged himself in the catwalk, but still never misses a performance. Stories of the building’s use as a detention center for black citizens during the Tulsa Race Riot of 1921, in which hundreds of held people are alleged to have died, have fueled claims of a haunting. Since the 19th century, dozens of citizens and visitors have witnessed an unusual phenomenon in the night sky over the area between Miami, Okla.; Columbus, Kan.; and Joplin, Mo. Known by several names, depending on one’s state of residence, the Tri-State Spook Light is a mysterious orb that weaves its way across the darkened countryside. The light has been the subject of several academic studies, none of which have arrived at a definitive explanation for the eerie glow. Practical witnesses attribute the orb to swamp gas, minerals in the soil or the refracting light of passing vehicles. Others, however, maintain the orb is spectral in nature, perhaps the spirit of a Civil War soldier wandering with a lantern, searching forever for his missing head.